Fungus On Plants! Let’s Talk Rust, Black Knot, & Leaf Curl! RUST, BLACK KNow & Leaf curl! What to look for and how to treat them! In this blog I will explain what to look for when dealing with Rust, Black Knot & leaf Curl. Also, how to treat and prevent these fungal diseases from coming back year to year. Millions of fungal diseases attack plants each year, these diseases spread through spores in the air. 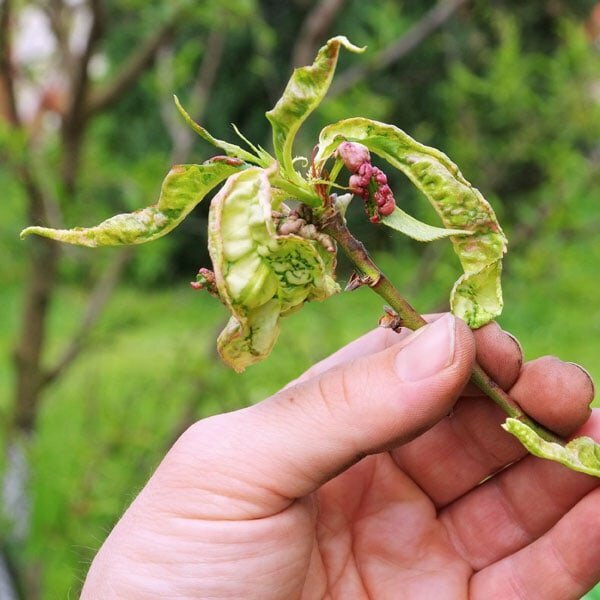 Whether you have a newly planted plant or a 100 year old plant, they are all just as susceptible to fungal diseases. When you think of Rust you’ll tend to think of a rusty old nail. This is reddish-orange stuff that forms on iron or steel when it reacts with oxygen and moisture. Rust also effects plants, it isn’t only one simple fungal disease, rust, is comprised up of multiple fungal diseases. This is the beginning stage of rust, the leaves will appear as though they are dying before turning orange/reddish. This is rust in it’s worst stage. At this stage pimple or wart like bumps form on the leaves. This is the rust in it’s middle form before going into the pimple stage. When the pimple or wart like bumps on the leaves burst open, tiny spores are released. These spores carry the fungal disease rust and are spread from the wind or water. As the spores spread in the wind they attach onto new plants. Because rust is spread in the wind preventative measures should be taken. Rust enjoy hot, humid environments so avoid over watering your plants and make sure not to top water. This is when water is left on the leaves. Prune or pick effective leaves. Be sure to not prune the whole plant if effected. Once finished pruning make sure to disinfect your tools will a mild bleach and soap solution. Make sure to rake up any fallen leaves or effected part of the plant. These parts should be thrown away or burned as compost will not kill the spores. If your plant still needs some help apply a copper fungicide or sulphur dust to the affected parts of the plant. Black knot is a fungal disease that effected many different types of trees. This fungus can be present in natural areas or landscaped areas. Some trees are able to withstand many knots (galls) where as, some are unable to withstand any. These knots can cause leaves to wilt, leaves to die, shoot death as well as bench death. Black knot looks like its name indicates, knobby swollen black growths called galls grow parallel along the length of stems and branches. In the beginning of summer new growths will appear to be covered in a velvety olive green coloured spore. By the end of the summer, these green coloured spored will have matured and turning black and hard. It is possible to may not notice black knot on your tree until winter because they stand out again the white snow and blue sky. On a single tree only a few galls could exist or as many as a canopy full of galls. Large rough black galls that are often cracked can occur on the main trunk of the tree and may ooze sticky liquid. The canopy of a tree full of galls. A close up of a gall on a branch. A large black gall on the trunk of a tree. The fungus overwinters in the galls. During wet periods in the spring, spores are expelled and windblown to infect young green shoots or wounded branches. Once the spore attaches itself to the new tree is begins to immediately infect the tree with the fungus. The fungus contains parasites that causes the tree to release chemicals calling for excessive cell growth and enlargement of the tissues resulting is a large black gall. A gall is comprised of fungal tissue and plant. A simple way to prevent black knot is to not plant any plants around other infected plants. If others are infected where you’d like to plant, read the treatment below. Pruning a black knot or simply cutting down the infected tree is one of the easiest solutions. Apply a fungicide containing one of the following ingredients: captan, chlorothalonil, thiophanate-methyl, or lime sulphur. Leaf curl is as the name indicates is the curling of the leaves on the plant. This is an other airborne fungal disease which is hard to prevent. Leaf curl is a distinctive and easily noticeable disease. Signs of leaf curl appear as soon as leaf buds start to emerge. When the leaves emerge they will have a red colour to them and a twisted shape. As the leafs continue to develop they become increasingly distorted. When fully grown the leafs may look thick and rubbery compared to normal leafs. With the leafs continually becoming attached by leaf curl they will change from normal green to red and purple, ultimately a whitish bloom covers each leaf. The bark of the plant is variety effected, as well as the fruit, but it may fall of do to limited strength in the plant. The leaves of a plant effected by leaf curl. The later stage of leaf curl where the leaf begins to change colours. The fungus survives winter by attaching onto the bark and buds of a plant. As the temperature begins to warm up the rainwater washes the spores into the buds where is attacks the leafs. The most effective way of preventing leaf curl is to plant your tree under your overhanging roof. In the winter wrap your tree with burlap or a material similar to avoid winter rainwater from forming and building up on the buds. Spray the trees in the winter well before budding with a copper-based mixture and/ or a lime sulphur mixture. If your plant has leaf curl one year, it doesn’t mean it will the next year as well. Let leaf curl run its course. If you are unsure of which fungal disease your plant has send us a photo or bring in your plant for us to identify. We will be able to tell you which fungus your plant has and give you a fungicide to treat such diease. How To…Water Your Plants In The Heat! 10 House Plants to Benefit Your Health!